Of course! As a matter of fact, we always prefer you schedule an appointment. When you schedule an appointment with one of our artists or piercers, you can rest assured they will be ready for you when you arrive and available to fully commit to your artwork or piercing. As always, it’s important you have any relative information regarding any ideas you might have for your artwork and/or piercing, especially quotes with correct spelling and punctuation, or other inspirational images. Feel free to contact any of our artists on their Facebook pages. 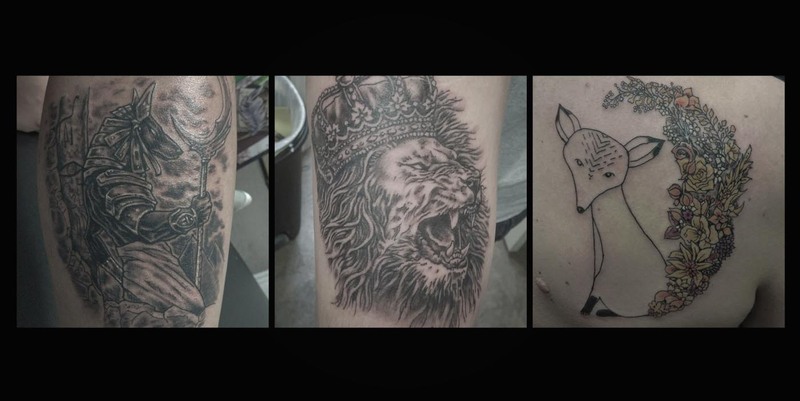 If you like, you can always give us a call to schedule an appointment with one of our artists. Also, you can email contact@dreamchasertattoo.com. When is the best time to see a specific artist/piercer at the shop? Some of us at the shop also work day jobs and have some pretty unorthodox schedules. We would recommend calling in to see if someone specific is in today, or if you prefer can contact them directly via Facebook. Everyone on our team has a Facebook link in the Our Team section of our website. 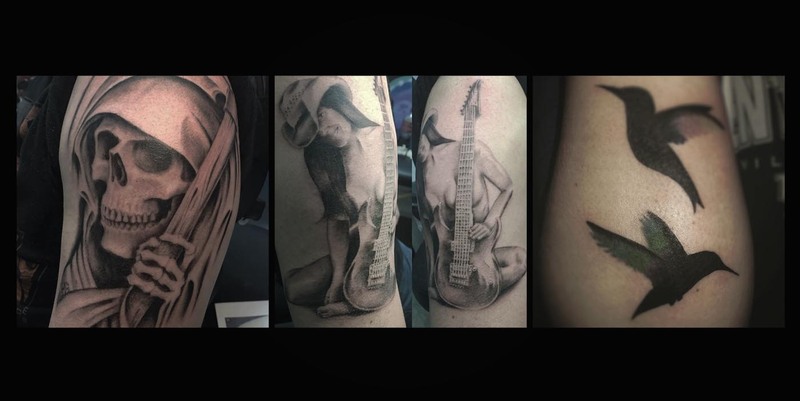 If you would like to schedule an appointment and/or consultation with a specific artist, feel free to call in or send us a message on our Facebook page. We love walk ins! As long as our artists do not have pending appointments (we always prefer to make an appointment!) we are more than happy to accommodate you. Stop in and speak to us or feel free to call ahead. 859-523-5891 for the Lexington area, or 859-329-7747 for our Danville location. We are currently working on a setup so that all of our artists and piercers can accept major credit cards and debit cards. As of right now, paying with a card is on a case by case basis depending on who is at the shop. With that being said we do ask that you bring cash. We do not accept any other forms of payment. Yes we do! Feel free to send us an email regarding purchasing a gift card for a friend, family member or loved one. I am under the age of 18, can I still get a tattoo or piercing? While we strongly encourage that you wait until you are 18, you absolutely can get a tattoo or piercing if you are under 18 years old. However, you must get one of our intake forms notarized and signed by your parent or legal guardian, whom also must accompany you during your tattoo or piercing. We will also need a valid identification from both you and your parent or legal guardian. If you want to go ahead and print out our paperwork to get notarized ahead of time, you can download our intake form here. Do you draw custom tattoo designs? Absolutely! Our artists always prefer to design something unique for your tattoo artwork. The best way to achieve this is to schedule an appointment with us for a consultation. Likewise, you can always walk in to speak with our team about your ideas and choose which of our artists is best suited for what you are looking for. We offer apprenticeships when we are looking for some new artists or piercing specialists. In the event we take on an apprentice, you are a part of our family and can be sure we will steer you in the proper direction towards success. As always, feel free to send an email to us regarding an opening, but without a formal announcement on our website and social media websites, we are not currently looking for new people. Can you give me a price quote on a tattoo over the internet/phone? 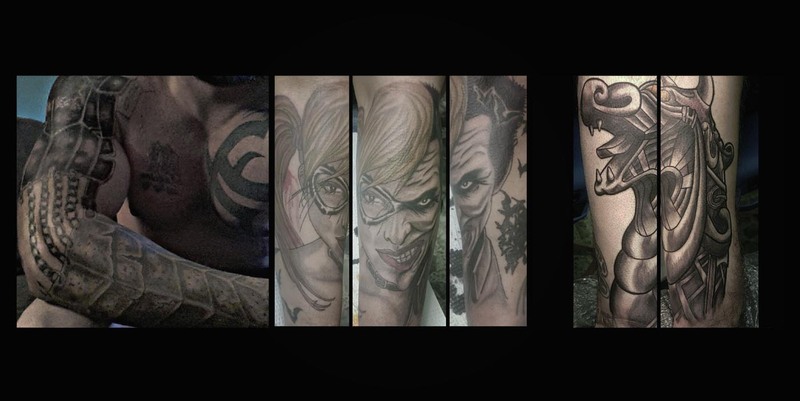 The unfortunate reality is that it’s extraordinarily difficult for us to be able to give you an accurate price quote for a tattoo without speaking with you personally in our shop. When you come in to see us, either as a walk in or via appointment, you will receive our undivided attention regarding the artwork you wish to get tattooed. Our top priority is excellent customer service, and we want you to feel welcome in our shop and with our team. With an in-person consultation, you will know exactly what you are getting, where, how long it should take and how much you should expect to pay. Come in and hang out with us!